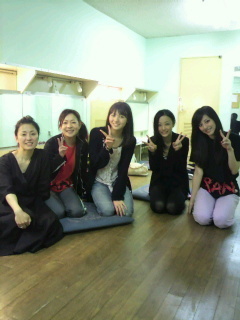 The final performance of the play “Ran” finished yesterday. I bid farewell to the Zenshinza theater I went to every day. I started to feel extremely lonely. This time 2 years ago, being in a play with such a large family, something like being allowed to star in that play, I couldn’t even dream of it. A novice like me being the lead role… I feel like I was only a bother to those around me. But still, with the first performance last year and then the revival, I’m happy that I was able to learn and worry about various things amongst everyone who I worked on this play with every day. “How will I be able to become like that? I am not one of those people, so I have no choice but to study a lot and put in a lot of effort. but the writer/director Hata-san chose me as the star, and I really have a lot of gratitude for that. Yesterday, after the final performance Hata-san spoke to me. Don’t you think he was watching from Heaven? It was an honor that I could appear in such an important, important play. And then, with the revival, there was one more thing I was anxious about. In reality, before the play started there weren’t many guests coming for the weekdays. so of course I wanted as many people as possible to come see it, and honestly I had some disappointed thoughts. 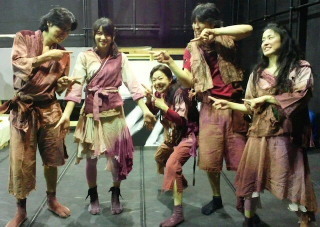 However, after the first day had finished, the number of people who came to the theater increased before my eyes. Thanks to that, we were able to almost sell-out the weekday performances, and it continued like that all the way to the final performance. It was a really happy thing. If it became a play that as many people as possible love, I’m happy. really, truly, thank you very much. 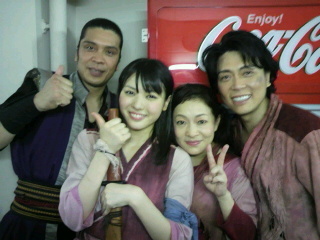 Posted on May 30, 2011, in Blog, Translations and tagged Yajima Maimi. Bookmark the permalink. 4 Comments. We can tell by this entry that “Ran” really means a lot to her. I’m glad she opened up with this entry, like the ones before this you alluded to. maimi so humble and self deprecating makes me want to respond to her in person. she really did put her all into this stage play (as she does with most things), and by doing so pulled off a series of performances of truly epic proportion. given the length of maimi’s post this time, it really shows how close she has become with the people, the venue, the audience and the acting. having lived and breathed it for so long (for the second time), maimi will surely miss the plays… i really do hope there will be a re-run of RAN (yeah yeah, pun intended) or a suitable alternative the following year.